stories, letters, pictures, memories and recollections from Vietnam veterans who were stationed at Fire Support Base Gela, Binh Duong Province, Vietnam in 1969. Research for this book still ongoing. If you are a Vietnam veteran and served at, have been to, or around FSB Gela, or know someone who has, I want to hear from you! 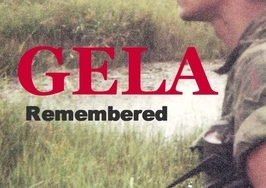 GELA REMEMBERED is in honor of the men who served at this remote military outpost. All contact information for myself and for Red1Publishing is available on this site. Please do not hesitate to call or e-mail me if you have any questions, comments or suggestions. I am looking forward to hearing from you! And if you know any other Gela vets, please spread the word! GELA VETS: PLEASE CONTACT ME!